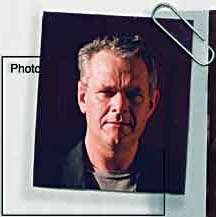 Clive Challis worked as an advertising art director in New York and London and before that as an editorial designer on the London Sunday Times magazine. He spent 5 years researching this book -- going back to the primary sources -- and recorded over 300 interviews with Krone's colleagues, friends and competitors. For the past seven years he has headed the advertising course at Central Saint Martins, Europe's premier artschool. He is the tutor of the Cannes Academy at the International Advertising Festival. Clive lives in north London and listens to Radio 4. But has no cats. If you have any insights into Krone's work and motivations, or just have comments to make on the book he'd love to hear from you.